As much as pigeonholing millennials has become widely accepted sport (Selfie sticks! Avocado toast! Gross entitlement! ), you can’t really squeeze the ginormous mass of Americans born between 1981 and 1996 into one eco-friendly, sustainably produced basket. Maybe two baskets. 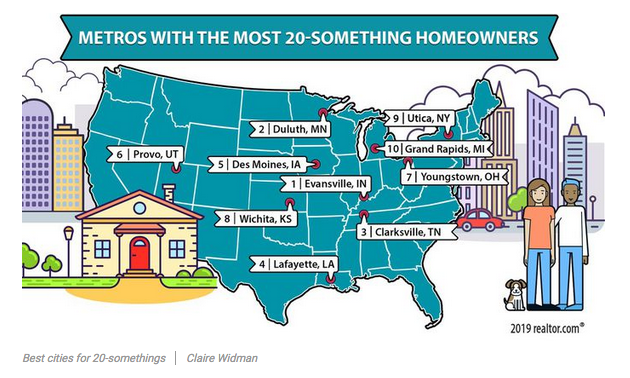 There are the older ones in their 30s who graduated straight into the hellscape of the Great Recession, and then the youngsters in their 20s who caught a break and got out of school when the economy was booming again. It’s no surprise then, that when it comes to home buying, the older half tends to be jaded and a bit battle-scarred, while the younger group is more optimistic.